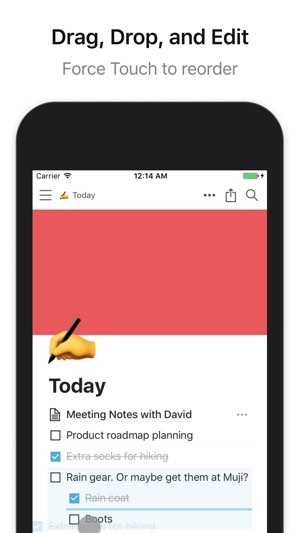 Notion is the future of note taking. I just know it. The flexibility and extensibility of all of the built in data types is remarkable and far surpasses anything else on the market. As a concept, this is the “note taking/information storage/project planning/you name it” app to end all other apps. But the performance. My god, is it bad. Everything you do feels like NASA trying to send a man to the moon with a punchcard computer. It’s just so slow and janky. The animations move at two frames a second, if you’re lucky. Other apps that offer much less are so much easier to use because they run well. 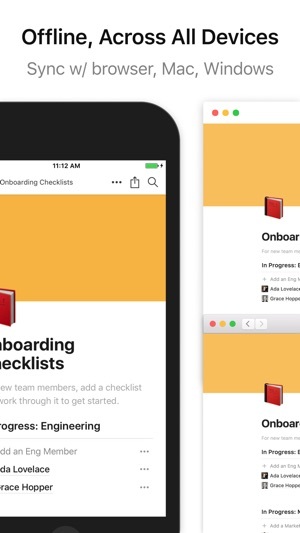 Plus, Notion uses an immense amount of memory, so it’s constantly kicking other things out of memory and gets kicked out of memory almost immediately after you leave it. And takes 5-7 seconds to start up, which is awful for quick notes. And that’s not even to mention the numerous outright bugs. 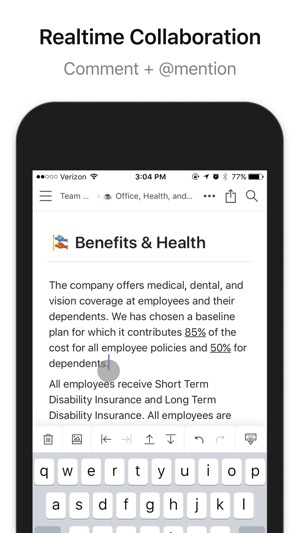 This app feels like someone had a great startup idea and had to rush their product out the door for mobile, and this was the result. Notion is great but it’s strictly desktop only at the moment. Kanye should get this app, because he only has the best, and this app is the best there ever was. I admit, I'm the sort of app user who's main skill is lurking real deep in review pages, but never actually review. I consummate the critiques of other, but never leave my own so that it may inspire others. But I'm going to change my ways. I'm going to change my ways for Notion. It has done so much for me that it's not possible for me to not stand from the roof of my apartment complex in the middle of the night and shout to all my neighbors about how good this app is. They got me from grocery shopping lists, to inventory management checklist, to bookmarking the 100 research literature I need to review before the next R&D lab meeting. I've never used an app this much. I've never loved an app this much. Dear Ivan, Brian, and Lillie - I could kiss you. If we ever break up, nothing would be the same. 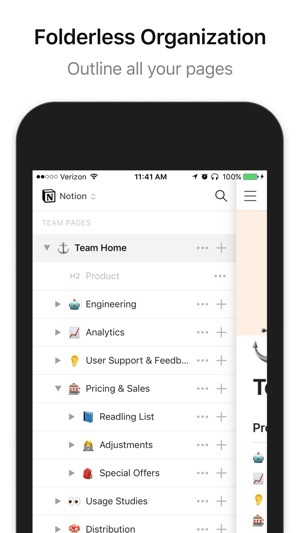 Notion is a good app for project management, wiki’s, teams, tracking, and more. While it is good for a lot of things, it won’t replace everything as it is now. I am a student and tried using Notion to replace MS One Note for note taking. I encountered several roadblocks for seamless note-taking. For one, it lacks the drag and drop functionality for pdf insertion. Inserting PDF’s takes several steps in Notion otherwise. 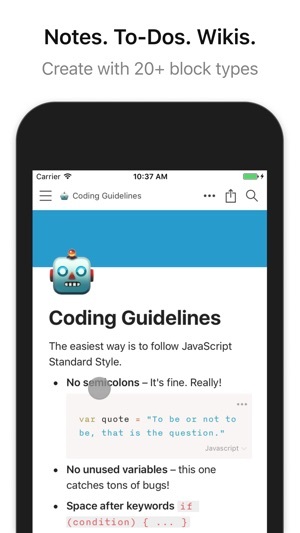 Viewing embedded pdf’s is good in notion. Opening pdf’s is awkward, it is initiated by selecting the option “view original” (rather than a simple double tap), and then occurs online only, rather than locally (via pdf app or device). Another drawback is that that Notion is primarily web driven, there is no saving for offline viewing. In addition, there are no security options, so saving sensitive resources or documents in Notion feels risky, especially so considering it’s a server driven platform. While I find these are drawbacks for my purposes of managing my class notes, there is a lot that Notion can do better than many apps. It is probably the most versatile database app I have come across, not to mention it looks fantastic. I just wish it could be a little more functional and more secure.